In the early morning hours of 16 December 1944, the 28th Division received a message from higher headquarters telling them to "hold at all costs." From 05:30 a.m. on the 16th until sometime in the afternoon of the 18th, the men of the 110th Infantry Regiment fought and held, giving ground only when forced out, but all the while buying precious time for General Dwight D. Eisenhower to find and move reserves forward from deep in France. That these scattered and battered 110th units could hold at all against such odds, and delay the Germans as long as they did, was an incredible feat by any standard. The 110th Regiment alone fought elements of three German divisions; the force ratios reached ten to one in favor of the Germans, but still the 110th held on. 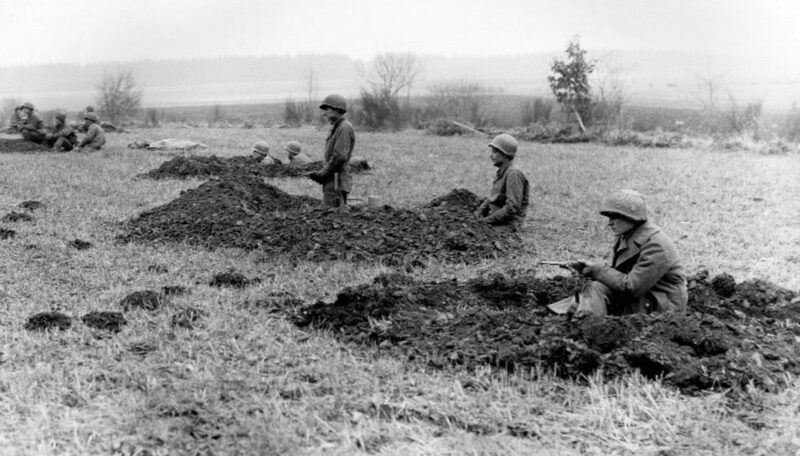 The toll on the Germans was so costly in men, equipment, and time that the race for Bastogne was lost right where it began: among the widely scattered outposts of the 110th Infantry Regiment. This book details the heroic combat actions of 110th Infantry units in eight Luxembourg villages from 16 to 18 December 1944.